9x12, xlv + 127 pp. 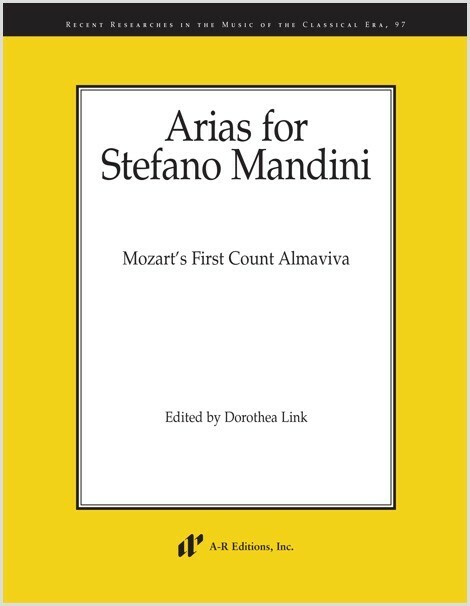 The thirteen arias presented in this volume portray the voice of Stefano Mandini (1705/56–ca. 1799), who created the role of Count Almaviva in Le nozze di Figaro in 1786. Dating from the peak of Mandini's career in the 1780s, the arias, composed by Sarti, Paisiello, Gazzaniga, Guglielmi, Salieri, and Martín y Soler, show a versatile singer who sang roles in both tenor and baritone ranges. All the arias are presented in the form of vocal scores, some taken from eighteenth-century editions and some made from orchestral scores. Digital Print is also available for this title.